Olivio Varricchio graduated in 2001 with a Bachelor of Physiotherapy from the University of South Australia. Following his studies, he started Physiotherapy Active in 2003, which has now grown to include three practices across Adelaide’s north-eastern suburbs. Olivio is proficient in dry needling which forms part of his treatment process when required and also leads clinical Pilates classes at his Campbelltown clinic which are individually tailored to meet patient’s rehabilitation and fitness needs. Olivio is an avid sports enthusiast, playing competitive soccer as a junior at state level with the South Australian Institute of Sport (SASI). He is now cycling competitively in A- grade, in preparation for the state road race season. You may even see him in the early morning riding up Norton Summit! Beth graduated in 2014 with a Bachelor of Physiotherapy from the University of South Australia. Beth has a ‘whole body’ and hands on approach to treatment and since graduating, has undergone mentoring and extra training in the ConnectTherapy and Thoracic RingTM model of treatment; which involves a thorax assessment and takes a deeper look into what is driving your pain state. Beth has also completed further training in Pilates and superficial dry needling and has a keen interest in sports and running in particular. Paul graduated in 2013 with a Bachelor Degree in Physiotherapy at the University of South Australia. Paul has extensive experience in treating all musculoskeletal problems using a holistic and goal orientated approach. His interest include sports related injuries and rehabilitation, neck and back pain, headaches, and, work and posture related problems. Paul has also undergone further studies in pilates and superficial dry needling and is proficient at exercise therapy for both gym and home based training. In his spare time Paul enjoys keeping fit, listening to music, exploring new food and cooking. Maddy graduated in 2017 with a Bachelor of Physiotherapy at the University of South Australia. Maddy has a keen interest in sports related injuries, rehabilitation and clinical pilates and uses a collaborative patient-focussed approach to treatment. On a personal level, Maddy enjoys socialising with family and friends in the Adelaide Hills and is heavily involved with her local netball club, the Lobethal Tigers. 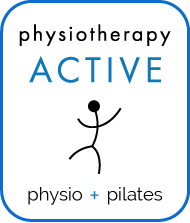 Anne joined Physiotherapy Active in February 2014 as a Receptionist/Administrative Clerk. Anne has previous experience in reception, customer relations and administrative roles, particularly relating to Physiotherapy Services. Anne likes keeping fit and being actively involved with her husband and their two children with their sporting commitments as well as enjoys supporting the Thunderbirds and Port Power. Anne also loves a shopping spree and getting away for the odd weekend to her holiday house on the coast. Jenny joined Physiotherapy Active in April 2018 as a Receptionist/Administrative Clerk. Jenny has previous experience in general practice reception work as well as other administrative roles in the health industry. Jenny enjoys spending time with her husband, two children and her dog. She also enjoys gardening and bike riding as well as visiting Hervey Bay in Queensland for a week or two each year! Anna joined Physiotherapy Active in December 2017 as a Receptionist/Administrative Clerk. Anna has previous experience in physiotherapy reception work as well as administrative roles in other industries. Anna enjoys spending time with her partner, two boys and her dogs as well as keeping busy in her garden where she enjoys hosting and entertaining friends. Anna also looks forward to ski season each year where she disappears on the slopes for a week or two!